Add all the ingredients to a large mixing bowl and blend on medium for 5 to 7 minutes. 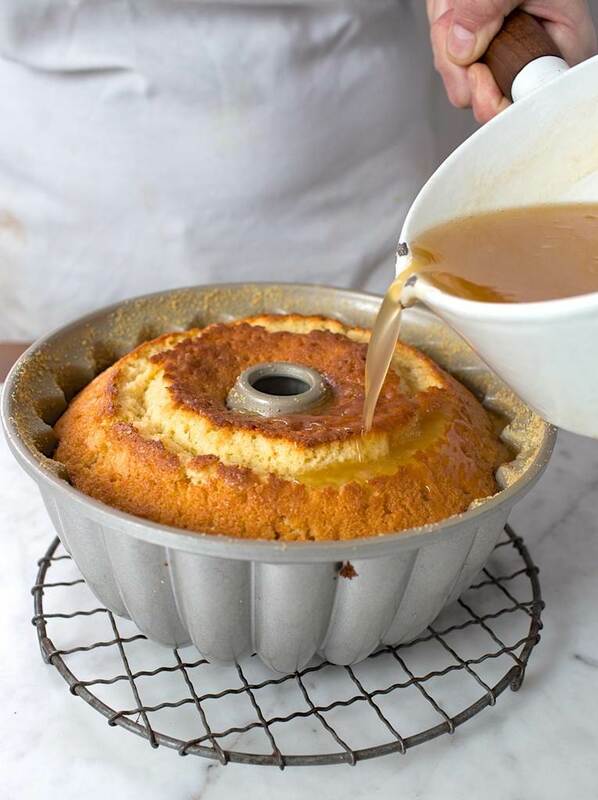 Grease a bundt cake pan with cooking spray or butter and coat with flour. 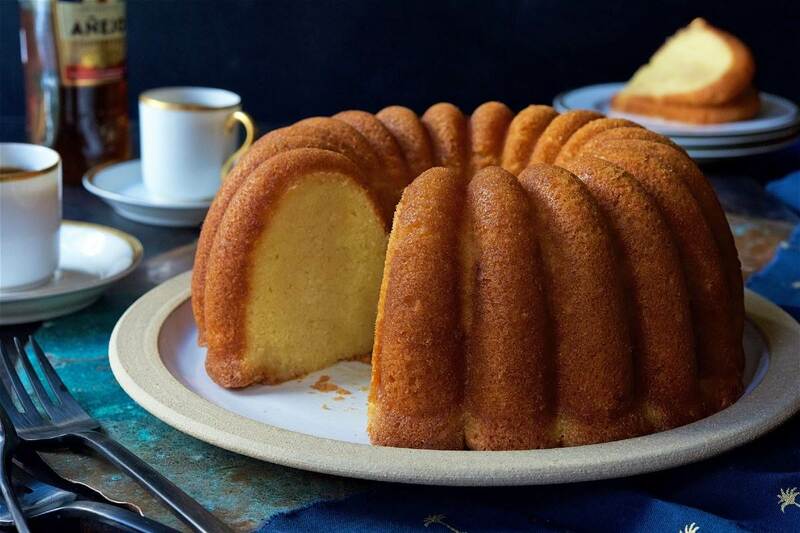 Pour all the mixture in to the bundt cake pan and place in a preheated oven in the middle rack at 325 degrees Fahrenheit for 50 to 55 minutes, or until a skewer can be inserted in to the middle of the cake and be removed without any residue. Note: Make sure you make your rum sauce topping close to the time your cake is finished cooking. If you make it too early you will develop a film over the top of the mixture as it cools. Add your sugar, butter, and water to a medium size cooking pan and bring to a boil. Once the butter has melted and the mixture begins to boil, place your orange zest in to a metal strainer and place over the top of the boiling mixture for about 5 minutes. Use a spoon to press down on the zest when you’re done to remove the oils from the orange peel. Once the cake is finished, test it with a skewer to make sure it’s cooked all the way through. Poke holes throughout the entire cake to allow the rum mixture to soak in better. 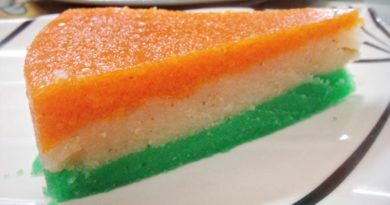 Slowly pour your mixture over the top of the cake. Don’t pour it all at once. Pour a little, allow it to soak and repeat that process until you’ve used it all. 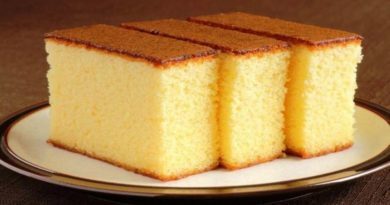 Allow the cake to completely cool, then insert a knife around the edges of the bundt cake and around the middle to loosen the cake from the pan. 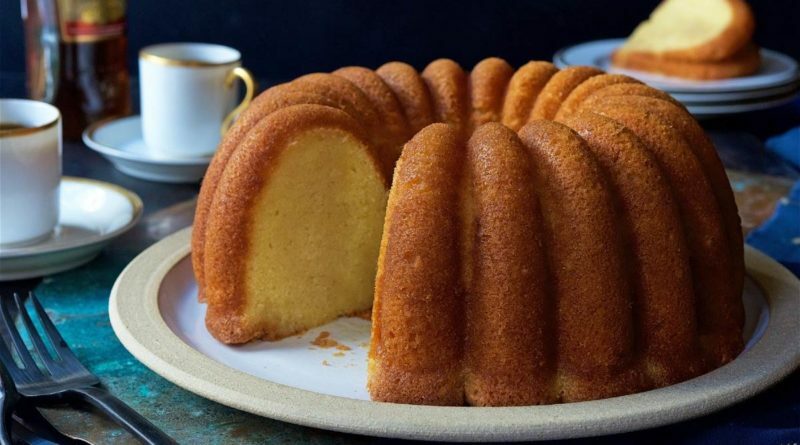 Place a large plate over the top of the bundt cake pan and flip it over. Give it a minute and remove the pan. Serve and enjoy! I hope you like it please don’t forget to like share and giving me love blessing!